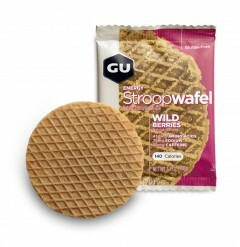 GU, the world’s leading performance sports nutrition partner. Launched in 1991, the world’s first energy gel is still the most efficient sports fuel available today. GU’s carbohydrate blend delivers high quality, easily digested and long lasting energy for athletes in every sport and at all levels. 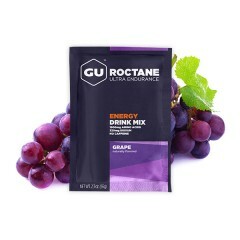 The Berkley based sports nutrition company started with the original GU Energy Gel, a revolutionary and more effective method to keep athletes fueled during exercise and speed their recovery from exertion. Today thousands of elite athletes and millions of endurance enthusiasts around the world agree, GU works. 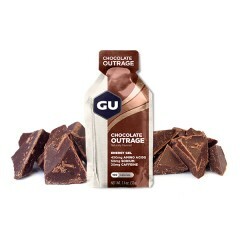 GU Energy produce a range of sports nutritional products designed to provide athletes with a convenient and simple means to consume the necessary carbohydrate, electrolyte and amino acid requirements to fuel their sporting and endurance activity. Each product is scientifically researched to optimize the body’s ability to absorb and convert the ingredients into glycogen. Glycogen is the broken down nutrients which the muscles use as fuel. The addition of electrolytes assist with hydration as well as provide a source of salts and minerals to replenish those key electrolytes lost through sweat. GU is also the only energy product on the market to include Branch Chain Amino Acids (BCAA’s) into the formula. These amino acids, such as Leucine, Valine and Isoleuine, are the building blocks of protein, serving a duel function in buffering the build-up of lactate within the muscles s well as serving as a rich source of additional fuel. For any sporting activity lasting longer than 45 minutes, the need to ingest carbohydrates and electrolytes becomes more and more important as the duration increases. GU Energy has taken these considerations into effect and offers a range of products to fit a multitude of activities and sporting codes. Every product is formulated to further GU’s mission: to help athletes go faster and further than ever before. Athletes everywhere appreciate the taste, convenience and performance enhancing befits of GU Energy.